ETA runs event training courses in the Middle East. 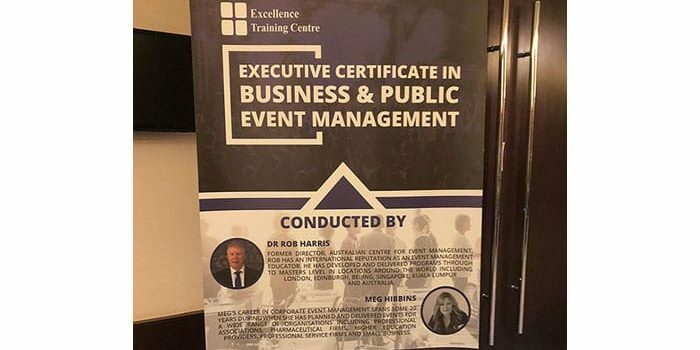 Event Training Australia recently partnered with the Excellence Training Centre to deliver its Executive Certificate in Business and Public Event Management in Doha, Qatar in October 2018 for the first time. The course was delivered at the Shangri—La Hotel and drew participants from Africa, India and several Middle Eastern countries.